THE team at Business News Australia has compiled a list of some of Brisbane's brightest young business minds, highlighting the achievements of 40 of the city's most bold and innovative business founders under the age of 40. The next generation of leaders have demonstrated tenacity, contributed to economic prosperity and proudly call the Brisbane home. From powerful techpreneurs to heavy-hitters in recruitment, the top 10 shares an insight into the city's booming digital and technology scene. JORDAN Grives launched Fonebox as a plucky 18-year-old in 2008, intent on shaking up the telecommunications industry. The business-to-business phone services provider now has a team of 83 employees managing more than 4000 clients across Australia and New Zealand. Heavy investment in technology development snared the attention of a competitor in October, with Grives selling Fonebox to a US company for reportedly $30 million. "The plan is to continue scaling up the business; I know they're on a very rapid growth trajectory," he says. "Fonebox is now a much bigger business with the same great service. It gives us bigger leverage and buying power." Grives plans to launch his own venture capital fund, Capital J Investments, next year and is on the hunt for emerging technology businesses. STEVE Scanlan is transforming IT recruitment from a sales business to a people business - in his opinion, the way it should be. 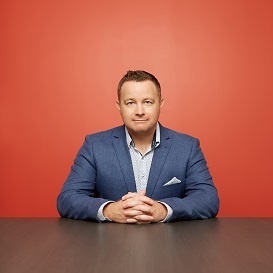 Formerly an executive at a global recruitment company, Scanlan was sick of seeing people treated as a dollar sign and launched Recon Solutions. "My main goals are around people," says Scanlan. "When I started, my organisation was about family and fun. This industry is extra tiring, there is a high staff turnover, but I have had my own team now for a long period of time." Additionally, Scanlan has an open policy he takes to his clients. "The reason we are so successful is we are open and honest with our clients. I show them our rates calculate, show them how much they are paying and how much we are charging," he says. The approach is paying off. Recon Solutions now has more than 100 contractors in the field. Scanlan is expecting his second consecutive year of triple digit growth in FY17. 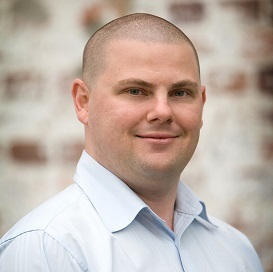 "We are easily the leading IT recruitment company in Brisbane and I would challenge anyone with financials - we are absolutely dominating the market," he says. 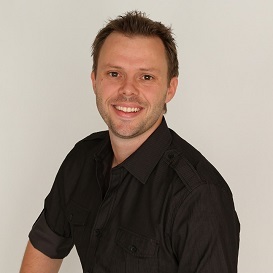 DIGITAL marketing guru Ben Bradshaw has made a name for himself by giving a wide range of businesses an online presence. SponsoredLinX has developed a software suite to manage its growing client base, with market share expected to hit 30 per cent in a few years. An innovation includes AdAdviser, a free tool that helps Australian SMEs to gauge performance of their AdWords account rather than paying a marketing specialist to monitor. "AdAdviser's initial trials have been an overwhelming success and, based on this, we are planning a global launch in 2017," Bradshaw says. "It is my aim that we will become one of the biggest SME digital marketing platform providers within the next three years." SponsoredLinX has recently opened offices in San Francisco and the Gold Coast, while an expansion to New Zealand continues to be one of the fastest growing channels of the business. 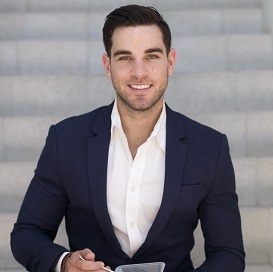 BACKED by Ben Doolan's health science and nutrition background, FivePointFour is taking a bite out of a competitive industry. The meal-plan business caters to a wide mix of lifestyles and has proven to be a hit among time-poor and health-conscious millennials thanks to a targeted marketing campaign. Doolan says the team invests a lot of time into social media, which has helped FivePointFour climb to the top of the health and wellbeing sector in Australia - beyond just food. "Our campaigns have good interaction, feedback and results because we have an effective product at a good cost point," Doolan says. "We've built a strong community of people and our reach is significant across social media avenues. But face-to-face and referrals of people passing on the message of our products is also really efficient." FivePointFour has built a strong following interstate, with plans to tackle international markets next year. 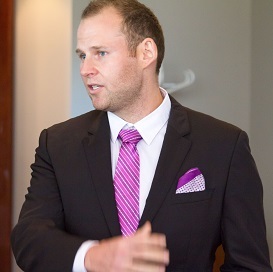 INSELEC more than tripled growth last financial year with Ben Markwell leading the charge. The hybrid model merges a recruitment labour hire business with an electrical contractor, employing a range of specialist electricians and assigning them to different projects. Markwell says a strong focus on quality electrical contractors and flexibility has resonated with clients. "Taking a step out of the electrical industry, the whole world is heading towards a contingent temporary workforce," he says. "Tap in then tap off, especially in trades, building and construction. Fewer and fewer people are being employed permanently. "We can retain guys because we give them to a client and when they don't need them anymore, we have another three companies to send them to." 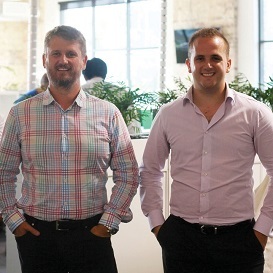 INSELEC opened an office in Sydney in June last year, followed by a Perth office in March. STARTING in 2004, Peter Ward's tech empire has survived and thrived in the whirlwind of change its industry has undercome. This year has been one of the biggest yet for Ward, as he worked hard to roll up his first business, WARDY IT Solutions, into a group of companies, as well as launching operations in the United States. The new WARDY Group has become a tech and training powerhouse which consists of WARDY IT Solutions, Moc Training, Mr CRM and Brisbane Training Rooms. Through continued development and a finely-tuned offering, Ward says he is gunning for a 30 per cent growth margin in the year ahead. "Our focus for the year ahead will be continue expanding our offering into the cloud," says Ward. "We are also looking to continue building our reseller network internationally." 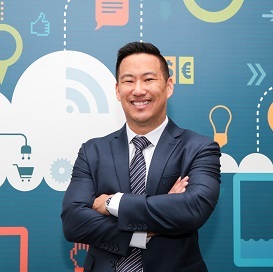 GORDON Tan operates his business under an open book management style, resulting in almost 100 per cent staff retention, which he sees as a key weapon in the competitive IT space. "From that standpoint, we do things differently," he says. "Our business is based around people and I wanted to do things differently and saw that adopting the open-book management style was transparent and made staff invested in the outcome of the business." R & G Technologies employs 40 staff, from starting 13 years ago in Tan's car. However, the business needed a cash injection, which came from a 'couple of thousand' dollar loan from a family friend, who also become a mentor. After around four years, Tan got his friends involved as employees and the business took a leap. It now employs 40 staff from its Eight Mile Plains office. 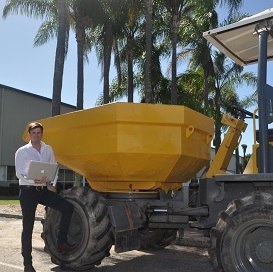 "We have been growing fairly aggressively here in Queensland - last year we grew 30 per cent and we are looking continue that momentum this coming year," he says. Tan has also become involved in a new food truck called Melt Brothers, and recently sold the American arm of his business. ADAM Gilmore and Guy McKenzie prescribe data solutions to pharmaceutical manufacturers - an industry first. They have rolled out these solutions worldwide, with 25 per cent of pharmacies in France already using PharmaData's service. Gilmore and McKenzie are now eying several other emerging European and South American markets, after a successful break into Spain's 25,000-strong pharmacy network. "We are becoming more of a European business than we ever imagined," says McKenzie. "In the next 12 months we aim to grow our market share in Spain and France, and we also have other emerging markets in Europe and South America that we would like to investigate." PharmaData is constantly on the hunt for the industry's best architects and developers to help deliver their intuitive product. IT'S one of Australia's oldest industries, mining and construction, so when Dan Wilson saw the opportunity to add a new spark to an old hand, he took his chances. As the industry fell on tough times, PlantMiner helped suppliers through a marketplace model, functioning like Airbnb for equipment hire. Wilson believes he is in the business of disrupting industry habits which result in time and money down the sink. "The mining and construction industry has entrenched habits, there's a reluctance to change, especially when it comes to embracing technology and procurement habits," says Wilson. "For many years this meant that project managers, site foreman and estimators played a waiting game to find the plant equipment and subcontractors they needed to complete their project." On the back of crazy growth every year, PlantMiner scored seed funding in March. 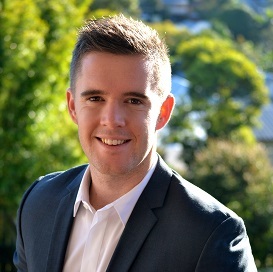 DANIEL Holden is laying the foundations to transform HoldenCAPITAL into the best construction finance broker in Australia. A diverse marketing mix designed to educate clients about the market, including podcasts, seminars and research, has contributed to strong growth last financial year. As a passionate supporter of urban development, Holden has met with different investors across Asia to secure capital. 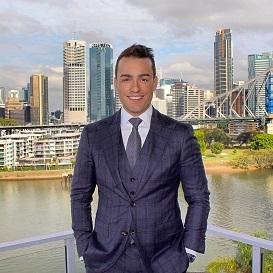 "The Brisbane property market isn't massive, which is good if you've got a name for yourself, but bad if you don't have any brand recognition," Holden says. "There's a finite pool of capital in Australia that lends to new development projects, so we've been trying to find innovative ways we can get money into the sector to keep it going." HoldenCAPITAL has recently expanded into NSW, with a similar push in Victoria planned next year.